In our over thirty years as Chow breeders and show exhibitors, we have accumulated a good deal of knowledge of our breed, which we would like to share with you. This site is not a marketplace to "sell puppies" as our puppy production averages to less than 9 per year. Also, we think our Chows are beautiful and are proud to "show them off" a little. It's just human nature! 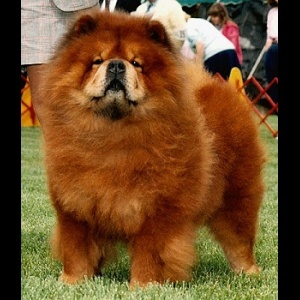 Breeding and exhibiting Chow Chows has been our hobby and life's interest since 1975. We keep no more than 12 to 16 adults at any one time, in order to be able to give our Chows the love and attention they deserve as members of our family. We have bred an average of less than 9 puppies per year over our existence as breeders, so you can see that we are hardly a "commercial" operation. We breed only to produce a better Chow Chow for our efforts in the show ring and for other reputable breeders. Our quality companion puppies are the by-product of this endeavor. We occasionally have some pups available. We are confident that you will be happy with any DOMINO Chow Chow that you adopt from us. We offer a one year written guarantee on the pup's physical soundness. We DO NOT ship our puppies, THEY MUST BE PICKED UP IN PERSON. Please call or write if you have any further questions about or kennel, or if you own one of our chows and need advice. We WILL NOT answer any questions regarding a problem with a chow you did not get from us, please contact the breeders you obtained it from. We have very limited time and don't need to be involved in problems we are not responsible for. WHEN WE HAVE PUPPIES AVAILABLE. Page Hits: 55,541 © 1997-2019 Domino Chow Chows, All Rights Reserved.